How Do I Start a Bankruptcy? Bankruptcy Exemptions – What Can I Keep? Can bankruptcy eliminate credit card debt? Chapter 7 bankruptcy completely discharges credit card debt. Chapter 13 bankruptcy can greatly reduce credit card debt to as low as 1,500.00 dollars. Credit card debt is considered unsecured debt. Chapter 7 bankruptcy eliminates unsecured debt completely. Filing for Chapter 7 bankruptcy can save you thousands of dollars. The cost of a chapter 7 bankruptcy is 1350.00 with the filing fee. This is significantly cheaper than paying 10,000 dollars back monthly with 18% interest (which would take you about 15 years). Credit card debt can be drastically reduced in a chapter 13 bankruptcy plan to as little as 1,500 dollars paid over 60 months without interest. This option will also save you thousands. Who can I talk to about eliminating my credit card debt? You can speak to a bankruptcy lawyer immediately to review your specific case. We offer a free consultation and debt analysis to review your case. How do I get started with my bankruptcy? Getting started is easy. Just pickup the phone and call our office. You will speak to a bankruptcy attorney immediately. 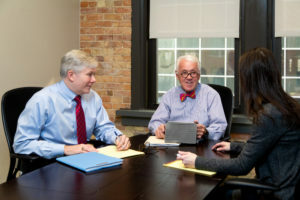 © Copyright 2019 Grand Rapids Bankruptcy Lawyer - Krupp Law Offices PC. Lawyer Landing Page Pro by Rara Theme. Powered by WordPress .